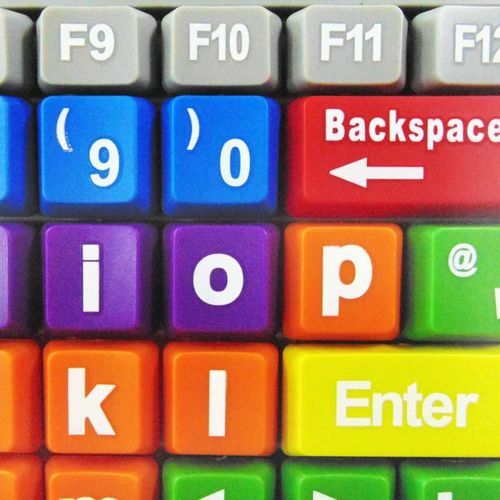 This early learning PC keyboard has high contrast extra large 1" keys printed with bold high contrast characters to help the visually impared and young children. Keys are marked with lowercase letters. 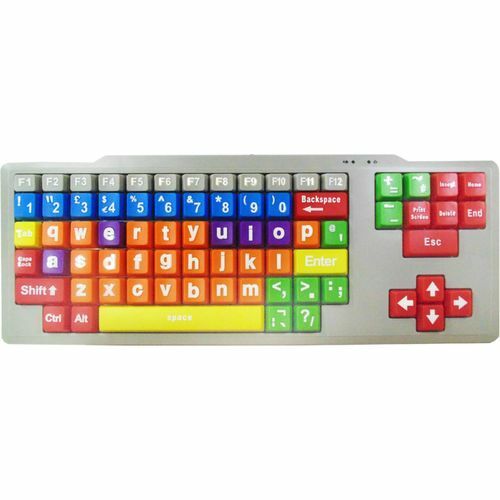 The colour coding on the keyboard will help young children identify consonants and vowels in an easy fun way. It helps to remove the confusion that a standard keyboard can cause. 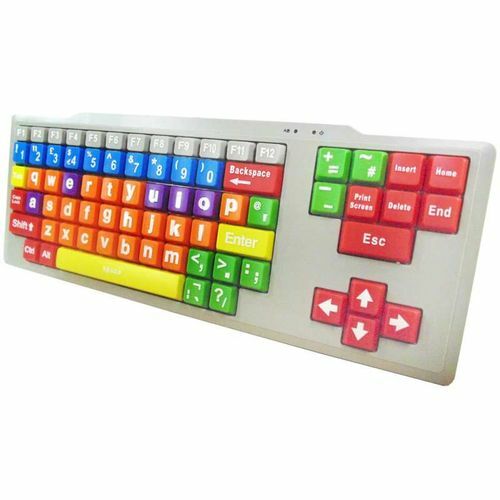 This is achieved by further breaking up, using colour, the different parts of the keyboard that we take for granted but is often difficult for a young person to understand. Shortcut key can be programmed using Microsoft Office. Suggested age group for this Kids Keyboard is 3 to 8 years.